Lick the Spoon Jute Bag. 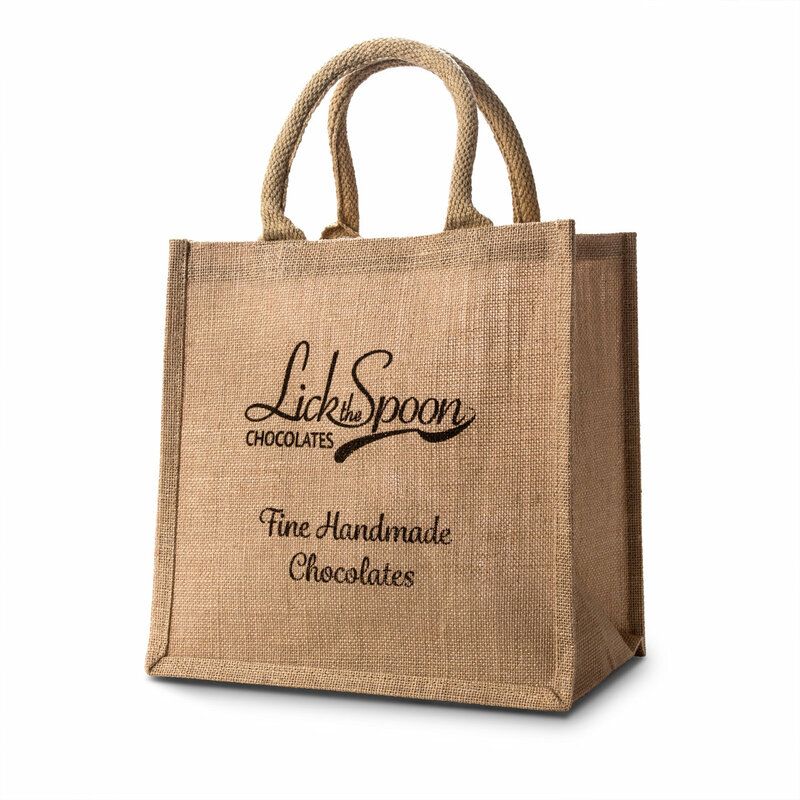 A bag for life made from jute – Lick the Spoon Chocolates – fine handmade chocolates printed in dark brown on each side.. Spend Over £50 and receive this bag as a free gift – use the coupon FREEJUTEBAG at the checkout to receive this bag for free! Lick the Spoon Jute Bag. A bag for life made from jute – Lick the Spoon Chocolates – fine handmade chocolates printed on each side..